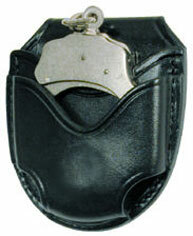 C305-M OPEN HANDCUFF CASE [C305-M] - $31.20 : Don Hume Leathergoods, Simply the Best! Fits 2 1/4 inch belt - Regular, security and hinged handcuffs. On the front there is a molded indent. This will keep the cuffs in the pouch.